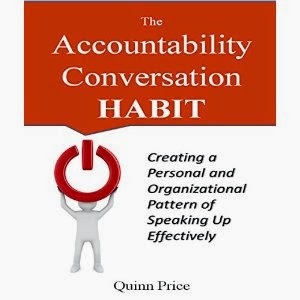 Quinn Price's "The Accountability Conversion Habit | Creating a Personal and Organization Patter of Speaking Up Effectively" is about optimizing your conversational skills. Price explains how to make your conversations effective by focusing on positive communication and reducing emotional, reactive communication. The chapter on de-escalating emotional reactions is the standout chapter for me because of my personal needs/weaknesses. There's a ton of info in the book, covering everything from motivation to organization. One of the strengths of the book is that, although it covers a lot of material, it's easy to digest. The writing clear and concise. I'd recommend "The Accountability Conversation Habit" to anyone who wants to improve the effectiveness of their conversations.